Florencia Walfisch is a textile artist and a poet from Argentina, born in Buenos Aires, in 1970. She is known for using textile techniques in order to make paintings and drawings. Florencia studied drawing and composition with Mónica Marcovich from 1993 to 1996. Later on, she studied drawing with Victor Chab. Walfisch received First Prize in Drawing from Giama Cultural Center in 1995, International Poetry Award Jaime Sabines for Sopa de Ajo y Mezcal from Coneculta in Chiapas in the year 2004, and Second Prize at Salón Nacional Arte Textil in Buenos Aires, Argentina. 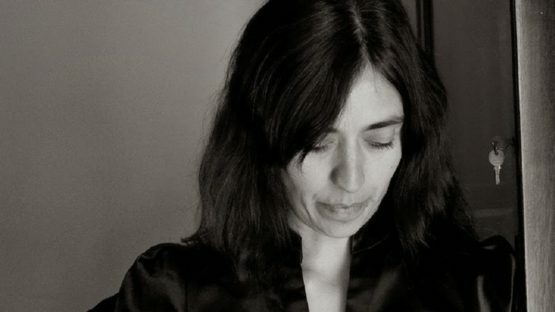 The artist, who started using textile techniques to produce visual art in 2004, exhibited her works in solo and group exhibitions, and interdisciplinary projects. Her work has been included in the annual Salon Nacional Textile Art shows. Florencia’s first solo show in the United States was The Importance of Minimal Gestures at Gallery Molly Krom in New York, in 2014. The artist presented textile paintings created with thread and wool on canvas and fabric. Florencia also participated in readings and poetry gatherings, and her writings are featured in several publications and anthologies. Together with Ana Lafferranderie, Walfisch is responsible for curating the reading series at the book store and cultural center Fedro in San Telmo, the oldest neighborhood in Buenos Aires. Florencia Walsich works and lives in her hometown of Buenos Aires in Argentina.